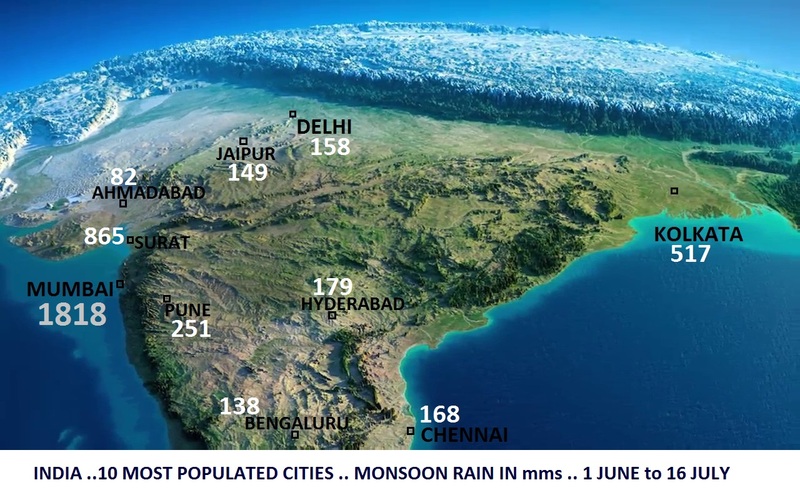 MONSOON RAIN IN mms ..
1.INDIA'S TOP POPULATED CITIES ..
Mumbai ..the monsoon city .. and the surrounding metropolitan region has received good rains ..
Vihar (8 kms from IMD SCZ ) has received 2687 mms for this season ..(Altitude of Vihar is 80 metres above mean sea level) .. Totals as on today: Patharpunj(Maha) is at 3438 mms , Agumbe(Kar) at 3367 mms , Amboli (Maha) at 3364 mms.. 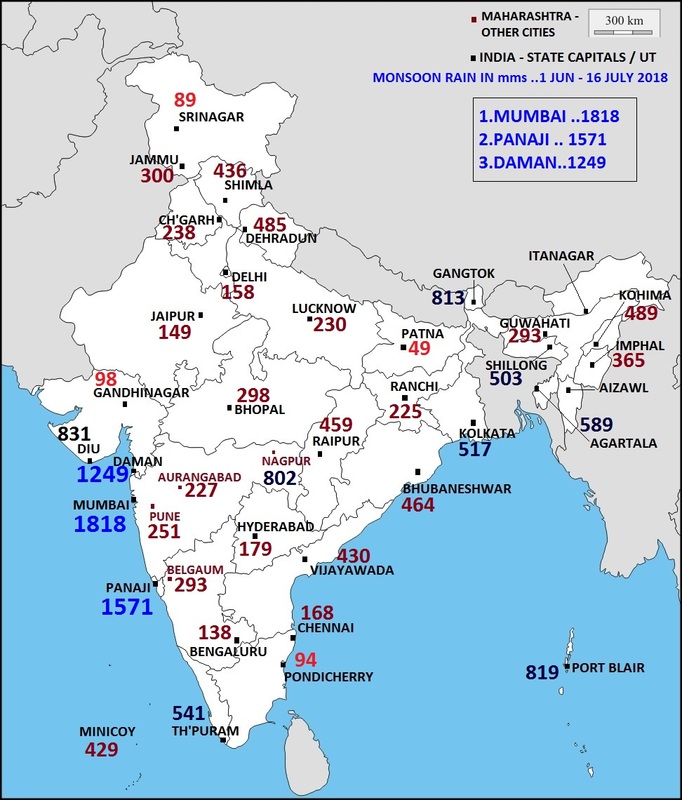 Numerous stations in the Mumbai metropolitan region have crossed 2000 mms rains during this season till now ..(Refer daily /seasonal Mumbai region rainfall maps on this blog)..
2. STATE CAPITALS / U.T. Article in marathi about kitwade..
Hi Rajesh ji, this is Suyash Karangutkar from Mid-Day newspaper. I wish to have a word with you for potential weather-related stories for our paper. How may I get in touch with you for the same? Suyash: Please give your contact no. or e mail here. No substantial meaningfull increase in rainfall in Karachi for the next 3/4 days. BB-4 seems to be fizzling away in Central India. Sir what about indore and Ujjain region? I dont see the system BB-4 strengthening much. Not much to be expected in Indore next few days. We have to wait for the next system. Maybe if the monsoon axis comes a bit south, but if BB-4 goes North, then the axis may shift North. The Indian Ocean Dipole (IOD) remains neutral. Three of six climate models suggest a positive IOD may develop, with a fourth model close to meeting thresholds. A positive IOD typically reduces winter–spring rainfall in central and southern Australia, and can exacerbate any El Niño driven rainfall deficiencies. Lovely 3d map of india and great informative statistics state capital and U/t wise.